Gold Coast properties are under threat from Termites and homeowners need to be aware of the damage Termites do. 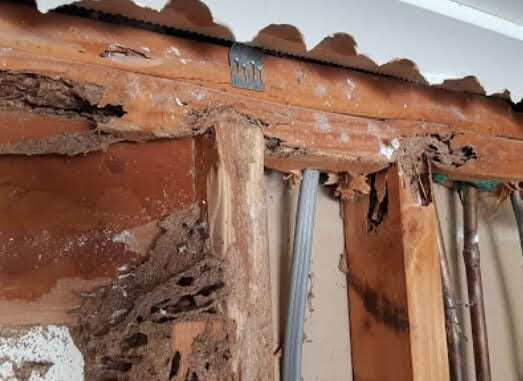 Annual inspections are recommended, however Termites can eat the framing timbers and destroy structural Timbers beyond repair in a month, Damage timbers in weeks. We understand inspections are an important part of termite management, but protecting the home is critical. As soon as your home has been checked ensure you get a written proposal so you can work out what is best way to protect your home from a Termite attack., Don’t wait till termites smash your home, then spend thousands repairing the damage to then decide you’ll now get it protected. As Termites continue to search for food and moisture homeowners need to be fully aware of how fast termites track. 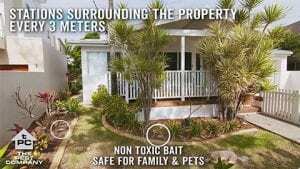 This Gold Coast home found out the hard way when Termites tracked beneath the Subfloor to gain entry, unbeknown to the homeowner till such time they discovered Termites inside the property. 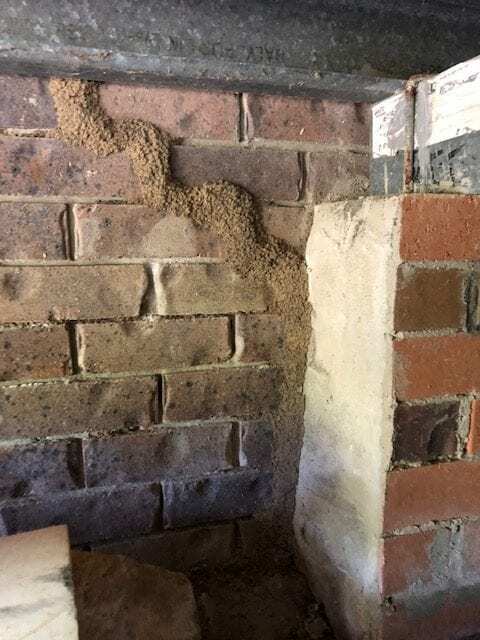 Gold Coast Termite Protection carried out a routine inspection finding numerous areas of termite activity and damage in the home. A treatment was carried out using Termidor to the Interior areas where live termites where located. The termites will now be left undisturbed for 3 – 4 weeks till a revisit will take place to check on the treatments success. 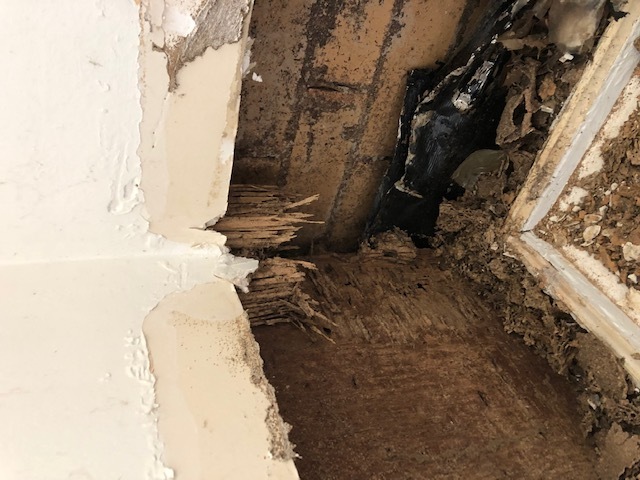 Once termites have been eradicated from the property a Termite Management system is best installed to protect the home, which may include Termite Chemical Barrier or a Monitoring and Baiting System. All Termite Management systems to protect against a Termite attack are best suited to the type of construction. All Gold Coast Technicians are back on board as of January 7th, 2019, 6am Sharp. Bookings from 6am – 5pm Monday to Friday. Call 07 55762602 to protect one of your greatest assets. Gold Coast Termite Protection have been servicing local Gold Coast residents for 18 years. 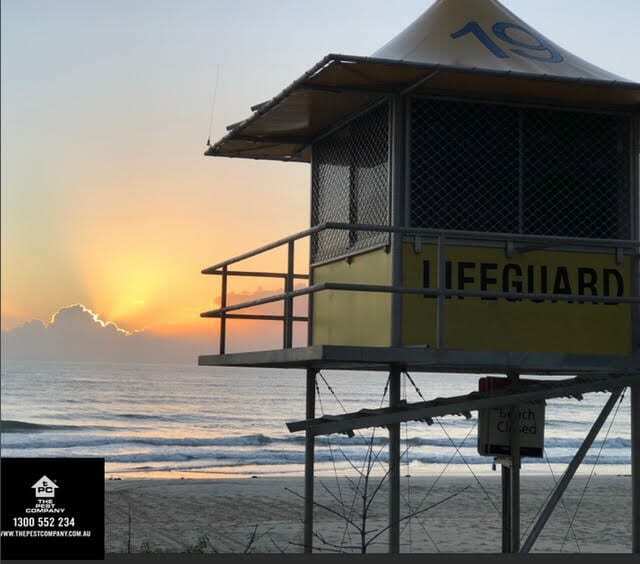 Our office is in Miami Qld where we service all Gold areas, like Broadbeach, Mermaid Beach, Palm Beach, Burleigh Heads and Currumbin areas just to name a few. 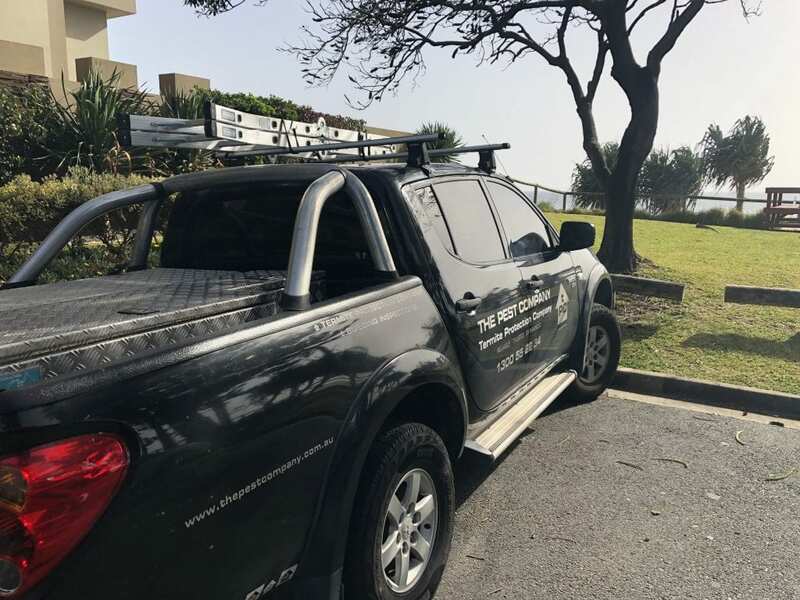 Servicing Gold Coast residential and commercial properties is a real pleasure especially when we have 5 local Pest management technicians on the Gold Coast residing Elanora, Miami, Ashmore, Upper Coomera Down to Casuarina Nsw. All Gold Coast areas, same price, same service is what we are all about. Termite Protection on the Gold Coast – Tough Life ! Termites are ferocious and never give up. Easy to say, 1 in 4 homes are attacked by Termites, well it is more like 1 in 3 here on the GC. 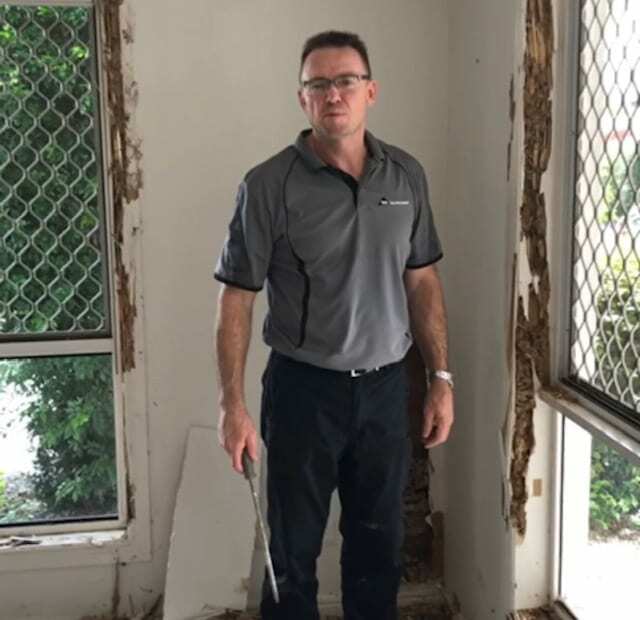 Protecting new homes from Termites during a new Build or Extension here on the Gold Coast Queensland is an essential requirement. 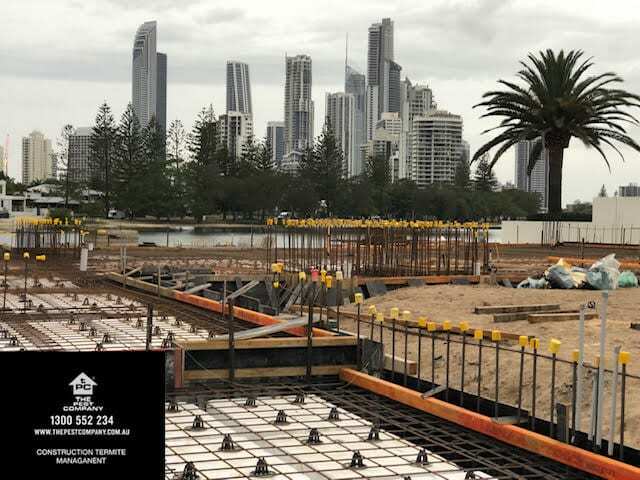 If you are looking to engage a Termite protection company on the Gold Coast you can call us 07 55 762602 or email us the plans (Architectural and Engineering Plans are best), from here we can inform when the Termite Management System is required to be installed during the build, best to remembering to “Call before you Pour”. Termites are ferocious and never give up. Easy to say, 1 in 4 homes are attacked by Termites, well it is more like 1 in 3 here on the GC. Protecting new homes from Termites during a new Build or Extension here on the Gold Coast, Queensland is essential requirement. There are many options when it comes to protecting a new home, however it is best to understand the basics to ensure if you are the builder or the owner builder you do not begin to build before you engage a Termite Management Expert. If you are looking to engage a Termite protection company on the Gold Coast you can call us 07 55762602 or email us the plans (Architectural and Engineering Plans are best), from here we can inform when the Termite Management System is required to be installed during the build, best to remembering to “Call before you Pour”. Termites thrive here on the Gold Coast and why wouldn’t they! Gold Coast Termite Protection have many Termite Management options when it comes to protecting a home from a Termite attack. Termite monitoring & Baiting Systems are one way a property can be protected. Certain systems like Sentricon Always active or the Exterra Interception & Baiting System are the best known baiting systems available. 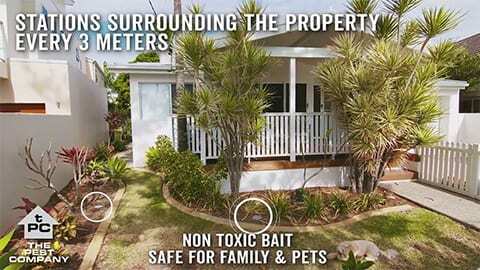 Rest assure studies show that the baiting system installed by Gold Coast Termite Protection the Exterra Interception & Baiting system has a very low level of mammalian toxicity, so you, your family and pets are safe.